When my husband and I were first dating, we visited his hometown where he introduced me to these crispy, cheesy, saucy delights called pizza rolls: pizza toppings rolled into an egg roll shell and fried to perfection. 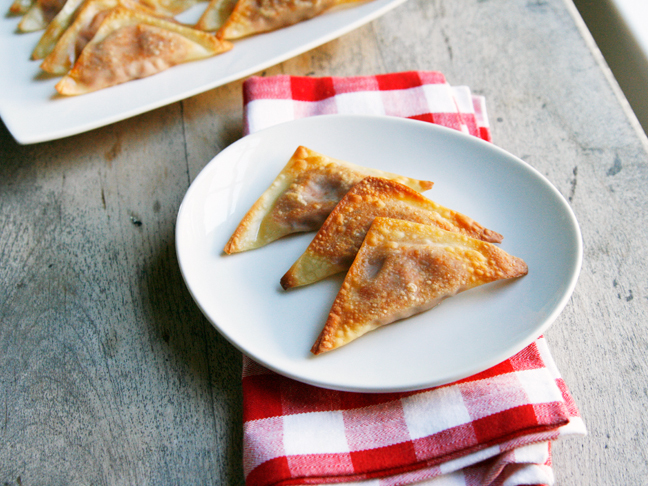 Those guilty indulgences are the inspiration for these little crispy appetizers: Crispy Baked Pizza Wontons. In this recipe, pizza sauce, mozzarella cheese, olives and garlic are baked (not fried!) 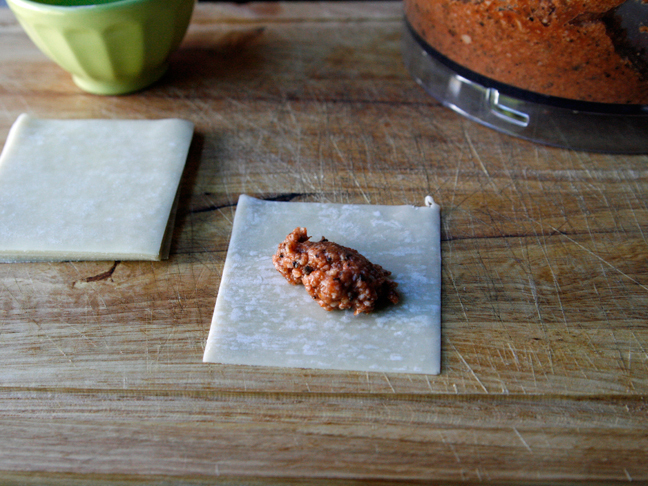 into wonton wrappers. 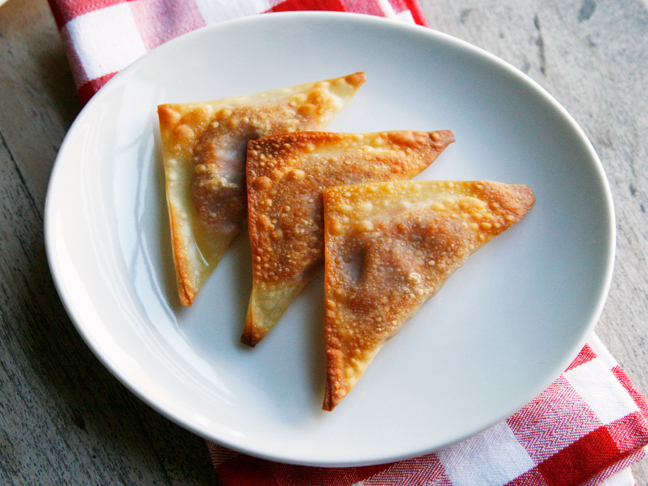 These snacks are super easy to make and reheat really well (I suggest making them ahead for parties and reheating before serving). These are my homemade take on pizza rolls, and my kids are obsessed with them. Step 1: Preheat the oven to 350 degrees. Brush a baking sheet with a little canola oil, reserving the remainder. 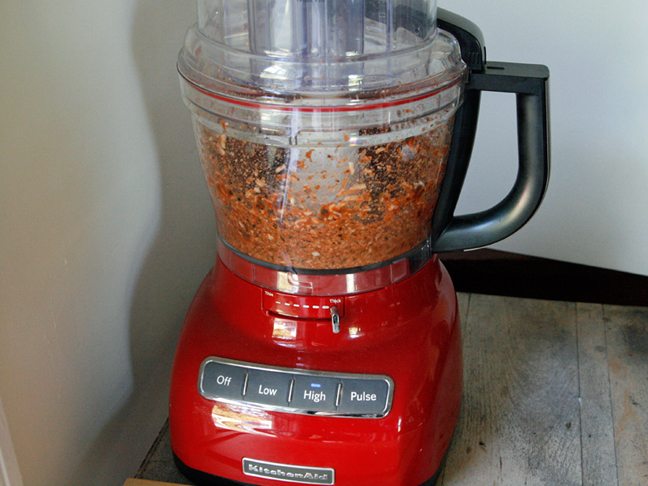 Step 2: Combine the pizza sauce, mozzarella cheese, black olives and tomato in the bowl of a food processor. Process until uniformly chopped. 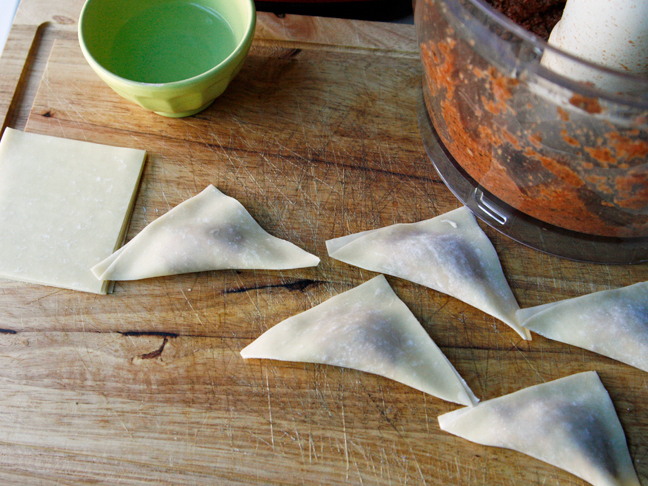 Step 3: Working with one wonton wrapper at a time, top each with a teaspoon of filling. 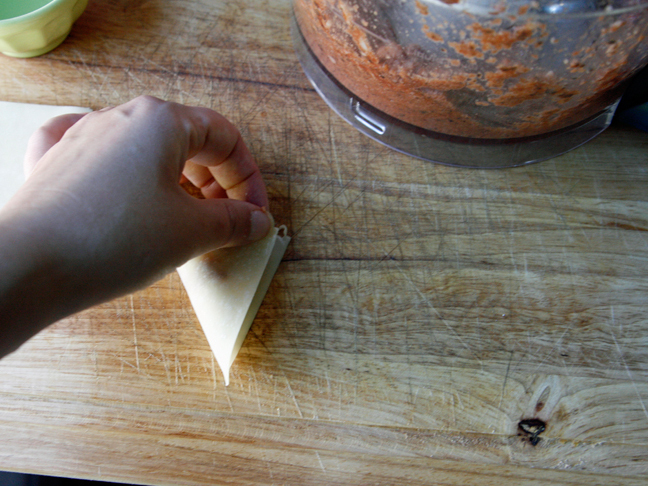 Step 4: Moisten the edges with water and fold diagonally to seal. Place on the baking sheet. Step 5: Continue until all the wonton wrappers have been used (you may want to use two baking sheets). Brush the wontons with oil. Step 6: Bake for 10 minutes and the flip all the wontons. Bake for an additional 2-4 minutes until golden brown. Let cool slightly before enjoying.